This month, Shedding Light met with Dr. Terry Allemang, who told us about his experience in oral and maxillofacial surgery, how surgical lighting impacts surgery and the surgeon, and why he chose the Enova XLT-125 LED surgical headlight for his practice. Dr. Allemang: I’ve been in private practice in Tipp City, Ohio, since 1995. I focus on general oral and maxillofacial surgery and help patients who need dental implants, bone grafting, wisdom teeth removed, extraction of impacted teeth, diagnosis and management of oral disease, surgery to treat facial injuries, orthognathic surgery. I’m part of a craniofacial and cleft palate team at Children’s Medical Center in Dayton, Ohio, and I teach general practice residents oral surgery techniques at Miami Valley Hospital. Shedding Light: How has your practice changed over the past 30 years? 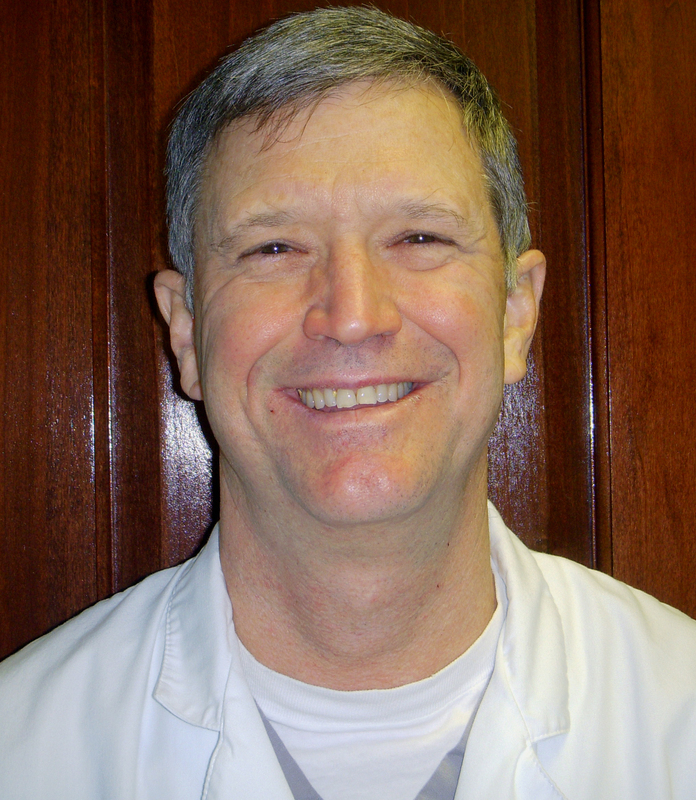 Dr. Allemang: Well, after graduating from The Ohio State University College of Dentistry in 1979, I went through an externship at Great Lakes Naval Training Center and my oral and maxillofacial surgery residency at Naval Hospital Great Lakes. I spent a total of 22 years active and reserves in the U.S. Navy. When I think about how my private practice has changed, I’d say the addition of the Cone Beam CT scans has really improved how patients are treated, as well as the significant advances in implant dentistry. I like a number of features on the headlight. Its coaxial adjustment lets me position the light within my bifocal area and it stays in place. The illumination of the headlight is outstanding. I was skeptical when the Enova representative told me how long the battery life was on the digital pack, but he wasn’t exaggerating. The battery pack lasts a long time. Dr. Allemang: Excellent surgical lighting is a necessity. If you can’t see it, you can’t perform surgery. Over the years I’ve learned that poor lighting will cause physical ailments such as neck and lower back pain and fatigued eyes. It also takes longer to perform a surgery when the lighting isn’t good. Shedding Light: When have you experienced poor surgical lighting? Dr. Allemang: I’ve seen all kinds of conditions in the mission work I’ve done. 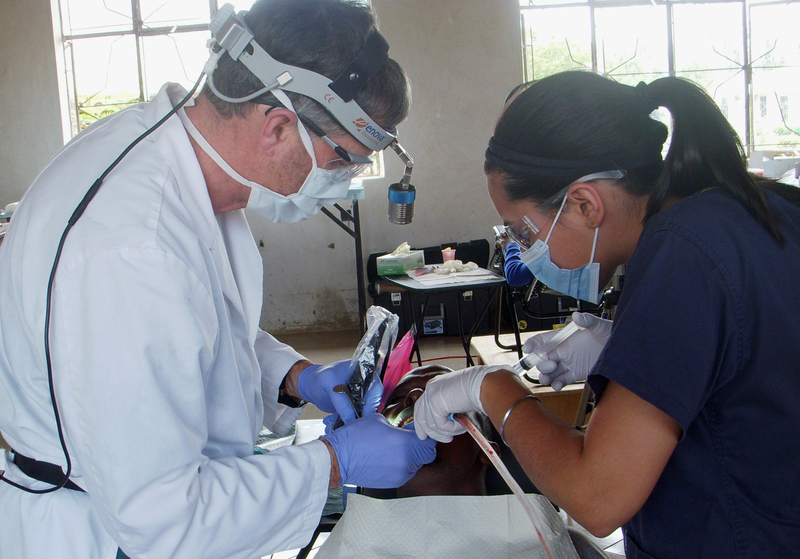 Every 18 months, or so, I travel to Africa with an orthodontist friend of mine who founded Smiles of Hope. Conditions can be primitive and lighting is minimal in the facilities where we often treat patients. I’ve taken my Enova headlight most recently, which has made an incredible difference. Better surgical lighting is better for me and the patient, no matter where I perform surgery. Dr. Allemang: My first surgical headlights were fiber optic. The lighting was excellent but I didn’t like being tethered to the power source. As I got older and had to wear bifocal goggles, I had trouble getting direct light within my bifocal vision area. I’d tried several different types and generations of headlights and was looking at surgical headlights at the AAMOS meeting in 2012. I saw the XLT-125, Enova’s newest LED surgical headlight and tried it on. It was lightweight and I liked that it was portable. I’m left-handed and treat patients from both sides of the table or chair and not being tethered to a light source allows me to actually walk around the patient to perform surgery. Dr. Allemang: I like a number of features on the headlight. Its coaxial adjustment lets me position the light within my bifocal area and it stays in place. The illumination of the headlight is outstanding. I was skeptical when the Enova representative told me how long the battery life was on the digital pack, but he wasn’t exaggerating. The battery pack lasts a long time. I charge it about once every 10 days. On mission trips I can use it continually for two days before I need to recharge it. Dr. Allemang: Yes! But when I first wore the XLT-125 into the OR, people laughed because I was bringing my own lighting source! This new LED surgical headlight saves me time—I used to have to set up two fiber optic headlights in the OR—and it is portable, letting me easily move around the patient. I really miss the headlight if I forget to bring it with me. It is very comfortable. If I had to buy another LED surgical headlight, I’d choose the XLT-125 without a doubt. Have You Seen Enova’s YouTube Videos? If you haven’t seen Enova’s new YouTube Channel, be sure to check it out now. We’ve published a number of new videos including how to set up your headlight, how to trouble shoot your headlight system, and much more.